We have been featuring different jobs for quadriplegics on our website each month. 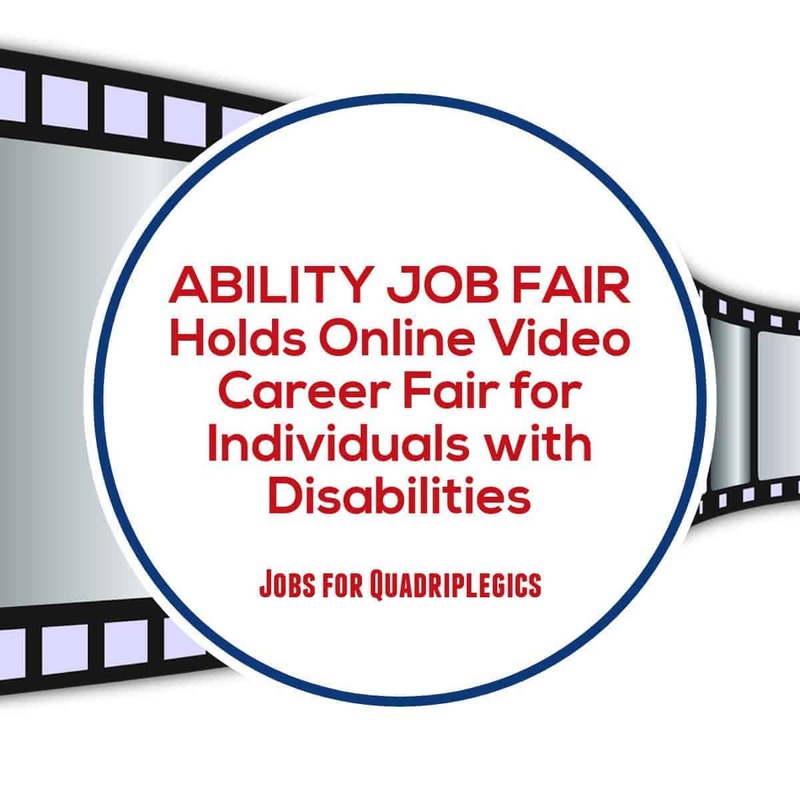 This month, we want to highlight the ABILITY JOB FAIR, which is holding an online video career fair specifically for individuals with disabilities. The ABILITY JOB FAIR takes place on Thursday, October 25, 2018 from 1:00pm – 3:00pm Eastern and will include employers such as Facebook Careers, Waste Management and abilityjobs.com. If you would like to sign up or learn more about this online job fair, visit https://abilityjobfair.org/. The event is part of the abilityJOBS, a website dedicated to connecting recruiters with individuals with disabilities. If you cannot attend the online job fair, but you would still like to explore job opportunities for quadriplegics, https://abilityjobs.com/ is another great resource to consider! Accessibility Services, Inc. specializes in quadriplegic assistive technologies designed to help individuals achieve independence. Our signature autonoME is an environmental control unit (ECU) and speech generating device (SGD) combined into one convenient package. Since every disability is different, we design a custom environmental control unit with augmentative and alternative communication (AAC) capabilities to fit each individual we serve. One of the most popular features of the autonoME is its ability to accommodate different input methods such as touch, voice, sip and puff, eye gaze and head tracking. ECU devices have revolutionized the way quadriplegics interact with their surroundings. The autonoME is especially popular with job seekers because of its ability to not only help individuals control their environment but communicate as well. We encourage the quadriplegics we serve to check out the abilityJOBS website to learn more about how they can connect you with potential employers and help you find an enjoyable, fulfilling career.